From the monthly archives: "March 2019"
I thought I had covered all the Cafe Bohemia recordings but fortunately I was wrong. 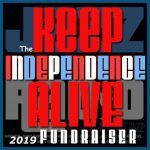 Yes, I have recently discovered another recording from this famous Jazz spot in New York City and I feel obligated to pass it along to all the readers/listeners of Jazz Con Class Radio. 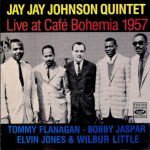 The name of this Jay Jay Johnson recording is “Live At Café Bohemia 1957.” Take a look at this “monster” quintet comprised of 5 incredible young musicians that helped Jazz endure and innovate further on throughout the 60’s and beyond! 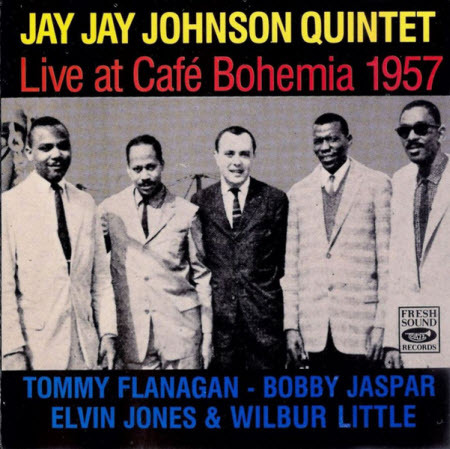 This is a must-have recording that all Jazz collectors should have, get it and Enjoy it! This tune is from the album, ENJOY!